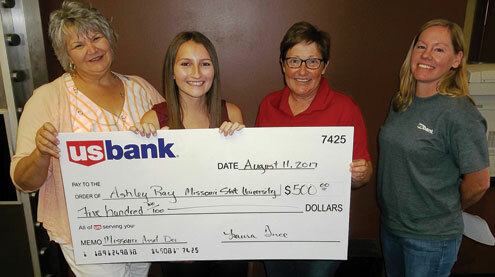 The not-for-profit North East Community Action Corporation (NECAC) and US Bank of Bowling Green presented a $500 check to Ashley Ray of Clarksville as part of the Missouri Asset Development Project. Pictured, from left, are NECAC Pike County Service Coordinator Dana Gordy, Ray, US Bank Branch Manager Laura Ince and US Bank Assistant Branch Manager Staci Bryant. A grant from AmerenUE through the Missouri Association for Community Action provided Ray with an additional $2,354 for her education. As part of the program, Ray had to meet income guidelines, be employed, enroll in an educational institution, complete economic training and save at a minimum amount each month. US Bank provided a no-fee individual development account with no balance requirement. Ray, 20, is a sophomore at Missouri State University in Springfield and is studying accounting. The not-for-profit North East Community Action Corporation (NECAC) is stepping up its effort to make sure area veterans have quality housing. The agency is being awarded a $30,000 Affordable Housing for Rural Veteran Initiative grant from the Housing Assistance Council of Washington, D.C. It will be used to upgrade and rehabilitate eight to 10 owner-occupied homes of veterans in NECAC’s 12-county service area. NECAC’s weatherization program provides upgrades to hundreds of homes each year in Lewis, Lincoln, Macon, Marion, Monroe, Montgomery, Pike, Ralls, Randolph, St. Charles, Shelby and Warren counties. The idea is to allow people to save money on energy costs and help communities improve their housing stock. Services available to income-qualifying households include home energy audits, air leak sealing, insulation of walls, attics and floors, replacement of furnaces and checks of heating systems to make sure they are working properly. 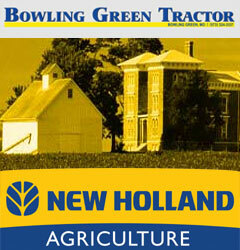 In addition to the grant initiative, NECAC offers a variety of housing options for veterans and others. The agency is currently working with the Tri-State Veterans Community Project to build housing for veterans in the Tri-State region of Missouri, Illinois and Iowa. In September 2016, NECAC cut the ribbon on an expansion of the Berkshire Senior and Veterans Apartments in Mexico that includes five units for senior homeless veterans. More information about the grant initiative and signing up to receive services is available by calling NECAC at 573-324-6622.